Melbourne metal natives Twelve Foot Ninja have released the official music video for their single “Sick”, taken from their latest album, Outlier, which debuted in the top 5 of the US Billboard Hard Rock Albums and 6th on the official ARIA chart. Twelve Foot Ninja are known for pushing the boundaries of music convention and fan engagement. The band’s music video for ‘Sick’ is a nine minute short film with three chapters leading to a dark but hilarious conclusion. 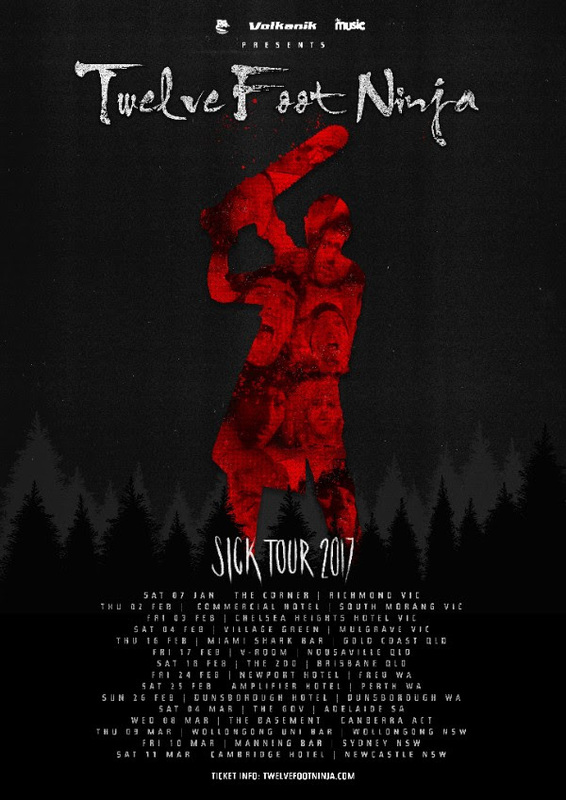 The band have also announced the Sick Tour starting in early Februrary and running through til mid March.